The political newcomer from Astoria should be elected to this sprawling open seat. Editor's note: This endorsement is part of a series of editorials in advance of the Nov. 6, 2018, general election. Also in this Oct. 17, 2018, issue, our editorial board endorses Ron Noble for House District 24, Rich Vial for House District 26, Susan McLain for House District 29, Janeen Sollman for House District 30, Brad Witt for House District 31, Alexander Flores for Senate District 15, Betsy Johnson for Senate District 16 and Knute Buehler for governor. Our Oct. 3, 2018, endorsement editorials recommended voters elect Kathryn Harrington as Washington County Board of Commissioners chairwoman and approve approve Ballot Measure 26-199. Voters in House District 32, which is based in the North Coast region but crosses the Coast Range to take in parts of the rural Forest Grove, Banks and Gaston areas, will be electing a new state representative this year with the retirement of Rep. Deborah Boone. Boone, a Democrat, has represented the district since 2004. All of the candidates in the general election are from the coastward side of the district, and we will look for the next state representative to be more active in reaching out to constituents in Washington County and ensuring they feel like they have an advocate in Salem. We think Democrat Tiffiny K. Mitchell of Astoria is the best bet to represent this district and fight for the interests of all its residents. An Oregon Department of Human Services employee — she'll have to quit that job if she is elected — Mitchell already knows the ins and outs of state government, which gives her a leg up already. Our editorial board was impressed by Mitchell's forthrightness and intellectual curiosity. She strongly opposes Measure 105, but she expressed understanding for the arguments of opponents like Clatsop County Sheriff Tom Bergin. She wants to strengthen Oregon's Forestry Practices Act, using West Coast neighbors like California and Washington as models. She's hopeful that the much-ballyhooed Clean Energy Jobs bill will make Oregon a leader in combating climate change. She knows that the Washington County portion of her district has historically felt neglected, and she wants to make sure it doesn't in the future. Mitchell's Republican opponent, Vineeta Lower of Seaside, is likable and comes with bona fides of her own, including prior work experience at the Washington State Department of Transportation before she moved to Oregon and became a teacher. 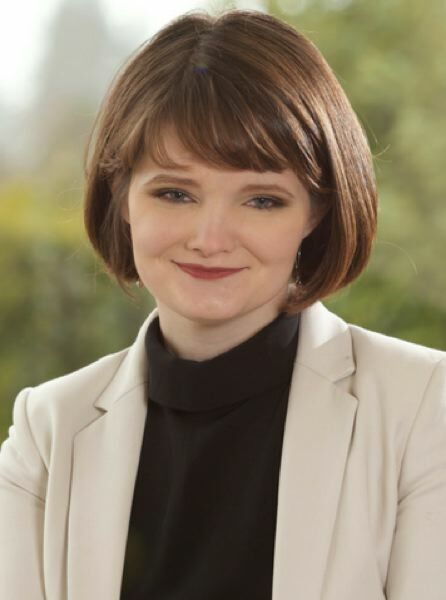 In her interview with our editorial board, she sounded a lot of the right notes about listening to prospective constituents, taking an inclusive approach to policy-making and re-evaluating some of Oregon's more onerous regulations. But we don't know how Lower would legislate, because we don't know her views. She danced around many of the subjects that Mitchell did not. Pressed for her take on Measure 105, Lower, an immigrant herself, begged off, saying she has not studied the issue. She did the same when asked what she thinks about Oregon's relationship with the federal government, and what it should look like. She offered little in the way of specifics for how she would address major issues like affordable housing and public education. There are two other candidates in the race. Independent Party nominee Brian P. Halvorsen, is a 26-year-old maintenance worker, Rockaway Beach planning commissioner and self-identified "democratic socialist" with some interesting, if not always realistic, ideas — many of them inspired by Vermont Sen. Bernie Sanders. Randell Carlson is running on the Libertarian Party line, and like Halvorsen, he argues that Republicans and Democrats aren't adequately representing "the people." While their perspectives are appreciated in this open-seat race, neither can match the experience and qualifications Lower and Mitchell bring to the race. We endorse Mitchell for HD 32, as the best-equipped candidate and the one we trust most to be an effective champion for her constituents. We will look for her to keep her commitment to represent western Washington County as well as the North Coast.